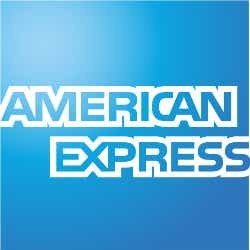 American Express is a provider of life insurance, credit cards and travel insurance products. At the time of writing, their life insurance product, American Express Ezicover Life Insurance, issued by Zurich Australia, is no longer available for purchase to new customers. If you are looking for a new life insurance policy, you can compare a selection of other providers with Canstar. Or, if you are an existing American Express life insurance policy holder, you can view details about their product below. Considering a life insurance policy? While American Express is no longer offering its product to new customers, you can compare a selection of other current life insurance providers in Canstar’s database using the table below. Please note that this table has been formulated based on a male non-smoker aged 30-39 in a blue-collar occupation (e.g. trades person). The results are sorted by star rating (highest to lowest), then by provider name (A-Z). Check upfront with your provider and read the PDS to confirm the details of a particular policy, and whether it meets your needs, before deciding to commit to it. Can I manage my existing American Express Life Insurance policy online? How do I lodge a claim with American Express relating to an existing policy? According to the American Express Ezicover Life Insurance PDS, if your insurance claim is approved, benefits under the policy are payable to the policyholder, their estate, or another person deemed ‘acceptable to’ American Express. You may need to speak to American Express for details about who might be classified as ‘acceptable’. If you would prefer for benefits to be paid to one or more beneficiaries nominated by you, you can contact American Express to set up a nomination. Are my American Express Life Insurance premiums tax-deductible? 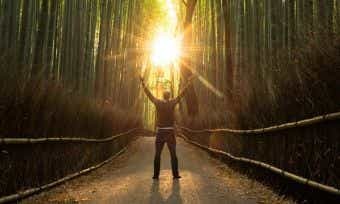 Generally speaking, premiums for forms of life insurance such as term life insurance, TPD insurance or trauma insurance may not be tax deductible, according to the Australian Taxation Office (ATO). Ask your tax accountant or financial adviser for more details on this. How do I change my level of cover with American Express Life Insurance? If you hold an American Express Life Insurance policy, you can apply to increase the amount of your cover at any time. Your application to increase your cover will be subject to the same eligibility criteria as when you took out your policy initially. You should be able to change your level of cover by adding or removing features or coverage, and by increasing or decreasing your sum insured for each type of cover included in your life insurance policy. If you wish to change your policy inclusions, contact American Express on 1800 025 015 to discuss your options. American Express is a global financial services company founded in 1850 in America. It has since become a worldwide organisation, offering services in approximately 100 countries around the globe.